Find a vacation home to rent in Piegaro from our list of vacation rental properties. Campaya has over 10 vacation homes available in Piegaro, which give you the possibility to locate a unique accommodation in Piegaro which completes your check-list in search for the perfect self catering vacation apartments in Piegaro or vacation villas in Piegaro. Greppolischieto is a picturesque and characteristic hamlet up on a hill (700 m asl) between Chiusi and Perugia with view over Lake Trasimeno. On an elevation of 700 m lies Greppolischieto, one of the most picturesque hilltop settlements in Umbria, overlooking Lake Trasimeno. Two holiday apartment (IUP874-875) located inside an old building in an ancient medieval village on the beautiful hills of Piegaro at few km from Città della Pieve in Umbria region. Typical stone country holiday cottage deep in the green countryside, few minutes from the center of Tavernelle. 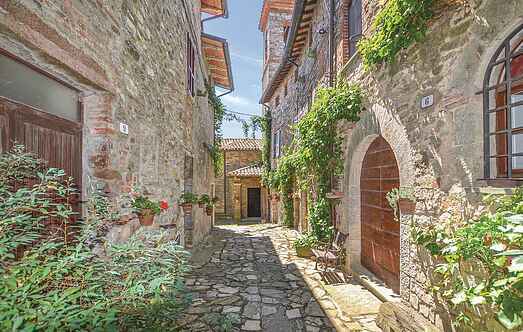 This romantic apartment in a two- family house is located in the village of Greppolischieto, between the Etruscan cities of Umbria and Perugia (30km), 700m above sea level.